Transperth is taking a new strategic approach to promote public transport patronage in Perth with a major integrated campaign via Gatecrasher. The $1.25m ‘Take a Break’ campaign encourages the public to trial public transport with the aim of increasing patronage, which had experienced some years of decline. 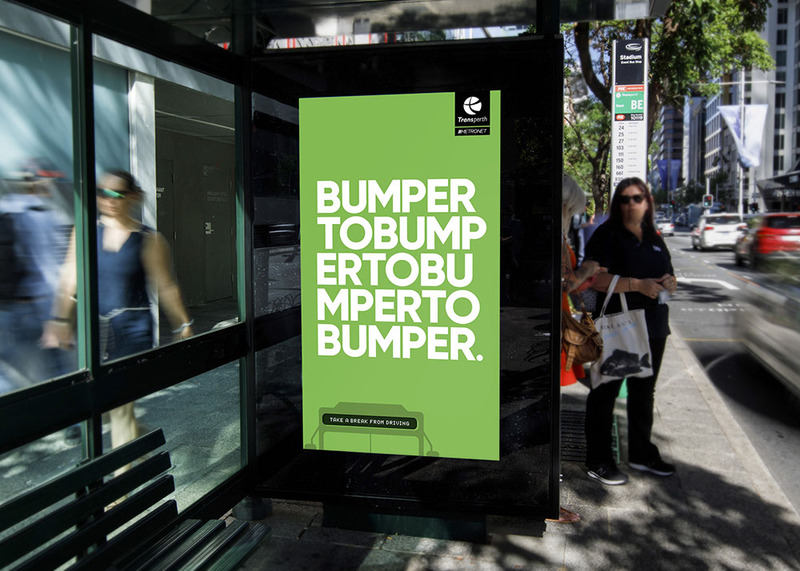 Instead of what might be seen as a traditional approach to advertising public transport, Gatecrasher’s creative strategy is based on the insight that Perth motorists are more likely to take the bus or train as a complement to, not a replacement for, the car. According to Gatecrasher Creative Partner Adam Barker, the agency felt a completely fresh creative approach was needed. The campaign, planned by media agency Carat, comprises two television spots, outdoor, radio, mobile and online display advertising. The launch of the advertising campaign coincides with the development of a new mobile app soon to be released that will provide passengers with real time information on where their bus, train or ferry service is, which will help to make travelling with Transperth more convenient. Commenting on the campaign, Transperth Information & Event Services Manager, Charlotte Hayes said, “Our research has shown there are many myths about public transport that are busted once people use the service. We just need to encourage more people to give it a go because we know that once they do they are really positive about the experience and are more likely to use us again.